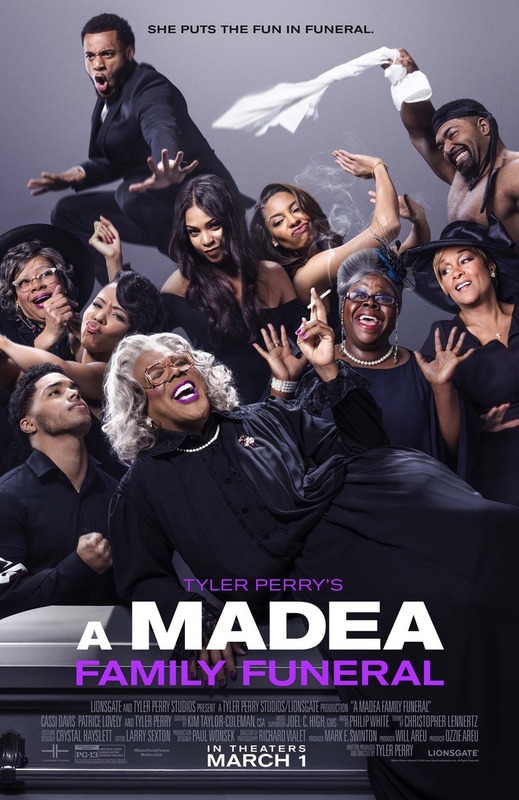 A Madea Family Funeral DVD and Blu-ray release date is set for June 4, 2019 and available on Digital HD from Amazon Video and iTunes on May 21, 2019. Tyler Perry does quadruple duty, playing three characters plus the popular Aunt Madea. Madea is summoned to rural Georgia for a family get-together that turns tragic with an unexpected death. Now it's up to Madea to plan the funeral, hold the family together, and make sure no dirty family secrets get leaked. Of course, in Madea's world nothing ever goes exactly to plan, but she's determined to see it through! DVDs Release Dates is the best source to find out when does A Madea Family Funeral come out on DVD and Blu-ray. Dates do change so check back often as the release approaches.